Use this information to determine which type of distributor you have on your 4 or 6 cylinder BMW engine. This will help you understand which type of cap, rotor and style of points to purchase when tuning up your vehicle. 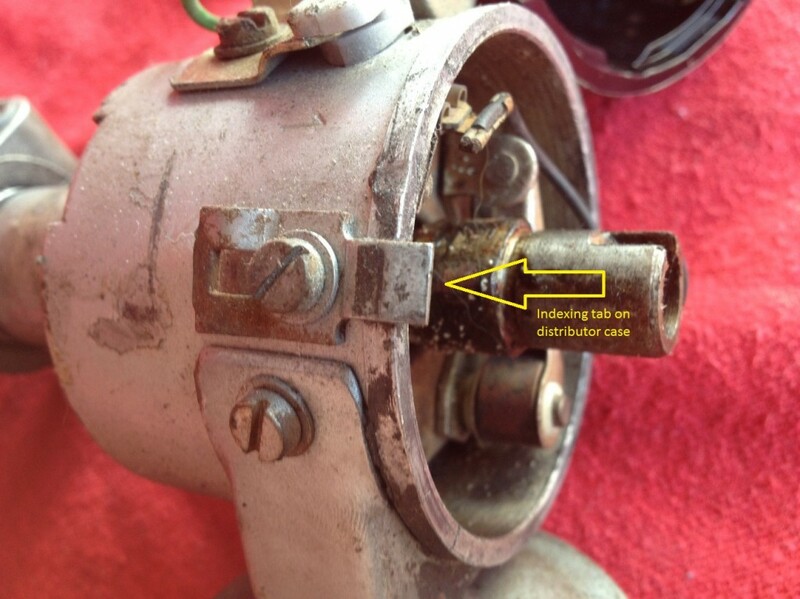 Most commonly found on a carburated car from the 70’s (3.0cs, 2800cs, 3.0s), this distributor uses standard forwards style points, except in the case of electrical (Pertronix). 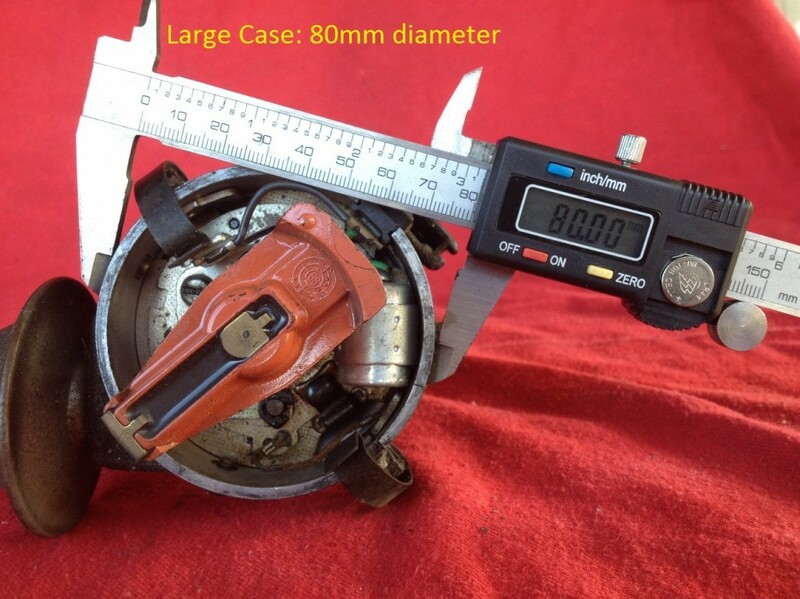 Measure the diameter of your case to determine if it’s small. 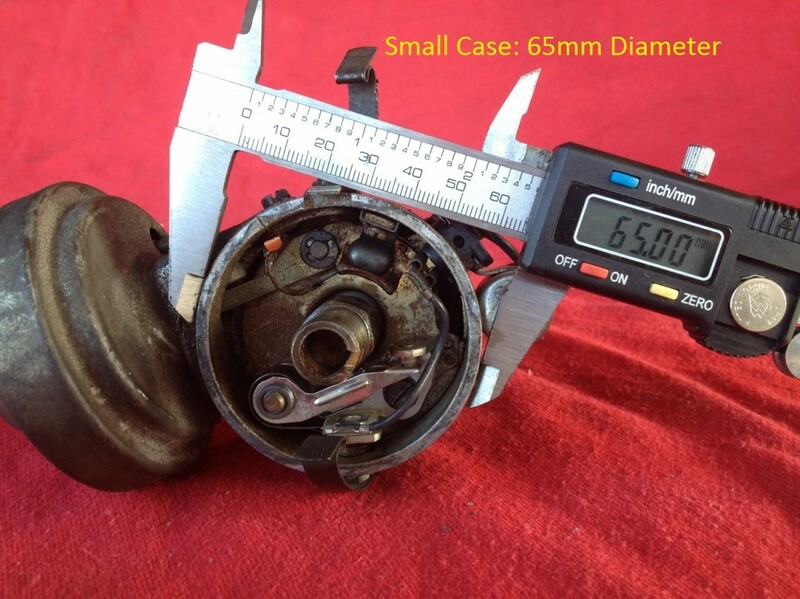 A small case distributor is 65mm in diameter. This will use a Pertronix 1867. 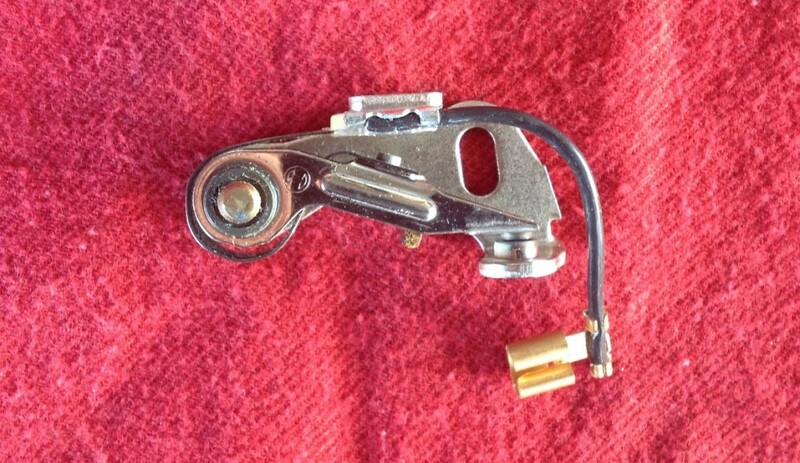 Most commonly found on an injected car from the 70’s (3.0csi), this distributor uses special points for both mechanical and electrical (Pertronix) points. Measure the diameter of your case to determine if it’s large. A large case distributor is 80mm in diameter. This will use a Pertronix 1868. 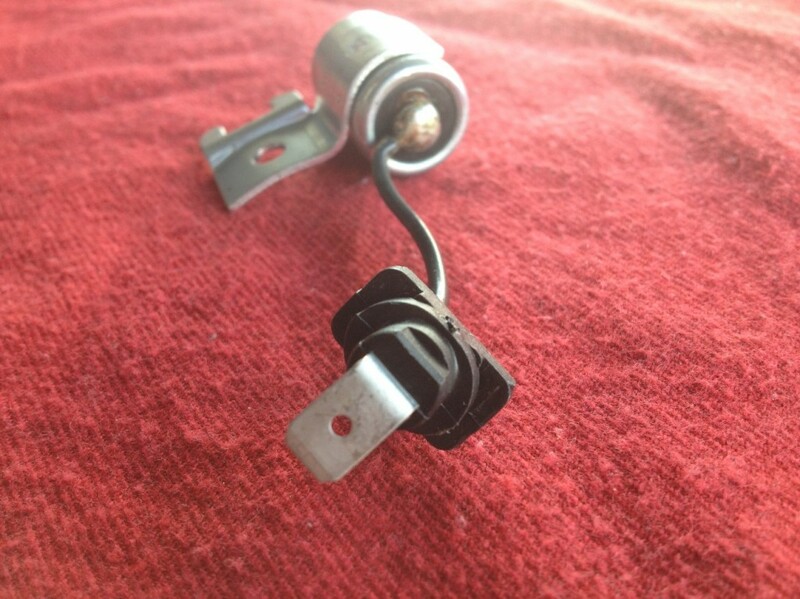 To view which set of points you have in your car’s distributor, remove the distributor cap, dust cover (if present) and rotor to reveal the points. The most common style of points found in an M10 distributor, these points are called “forwards” or “right handed.” Your thumb being the contact point and your fingers being the moving arm, these points resemble your right hand. The corresponding Pertronix kit you need is an 1847V. Found most often only on M10 distributors from 1974, these points are called “backwards” or “left handed.” Your thumb being the contact point and your fingers being the moving arm, these points resemble your left hand. The corresponding Pertronix kit you need is an 1843. This is about as self explanatory as it gets: The plastic plug that goes through the distributor case is rounded. 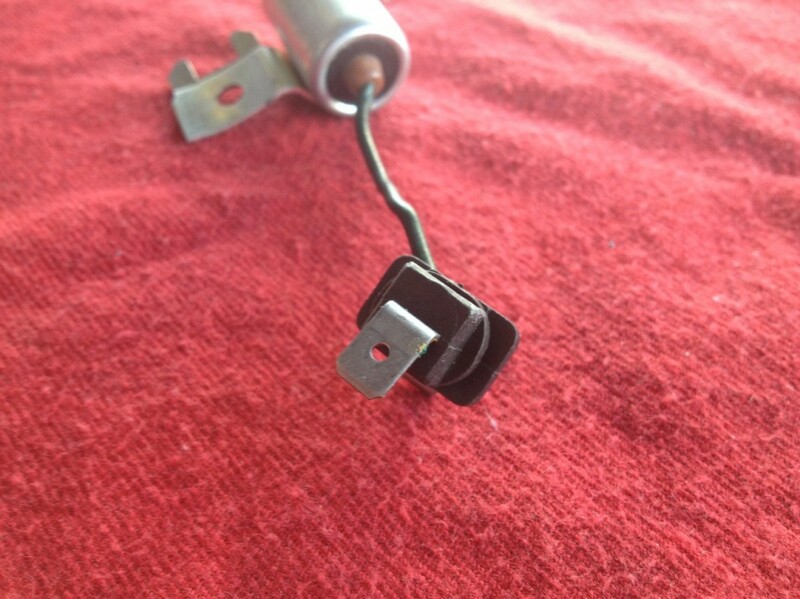 This is also about as self explanatory as it gets: The plastic plug that goes through the distributor case is square. Each distributor cap must have a notch of some sort to ensure that it’s installed in the correct position each time it is removed. 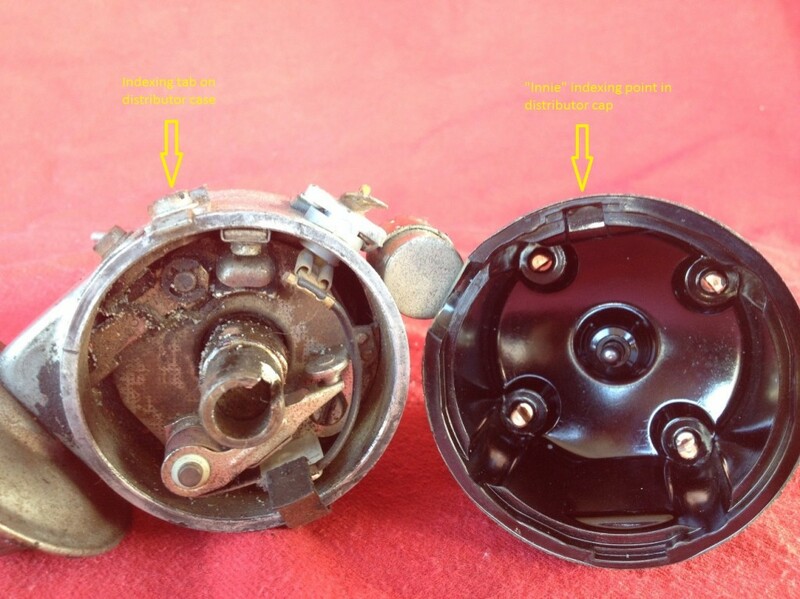 After removing the distributor cap this point can be seen both in the cap and on the distributor itself. 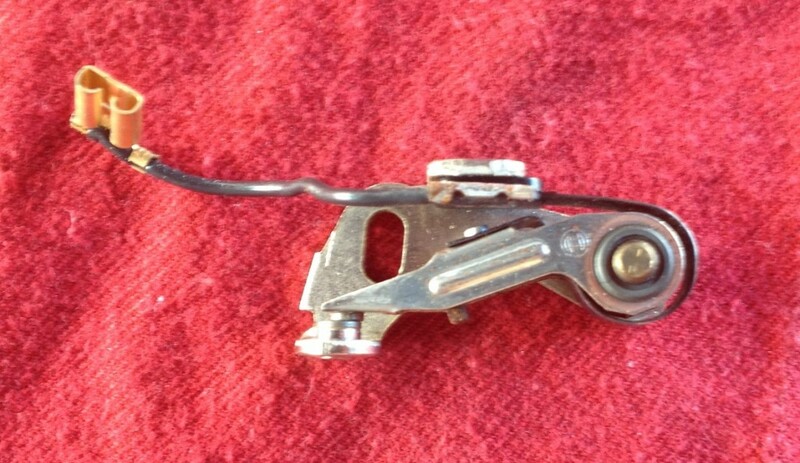 An “innie” refers to a distributor cap that has a relief notch cut into it so that an alignment tab from the distributor case case go up into it. In this case, we call the cap an “innie,” as it’s indexing point is a relief into the cap. 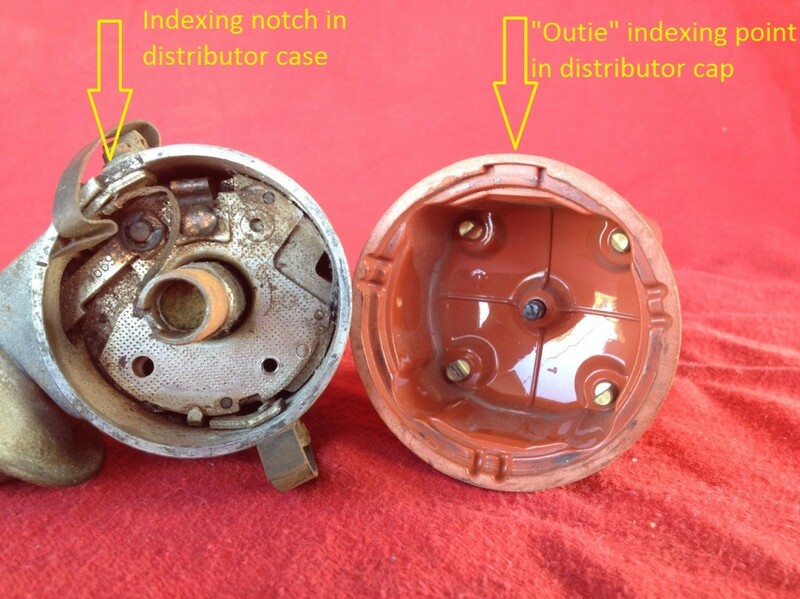 An “outie” refers to a distributor cap that has a tab coming out of it so that an alignment notch cut into the distributor case case can accept it. 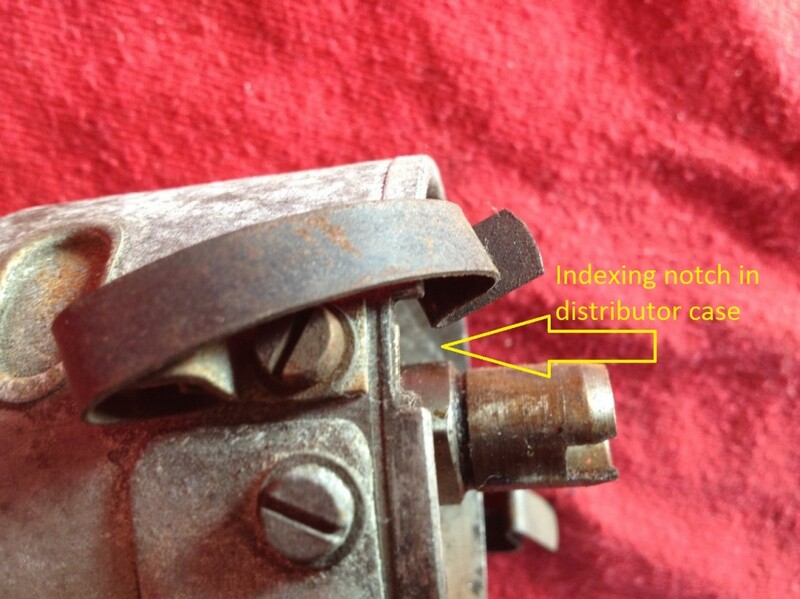 In this case, we call the cap an “outie” as it’s indexing point extends out into the distributor case.